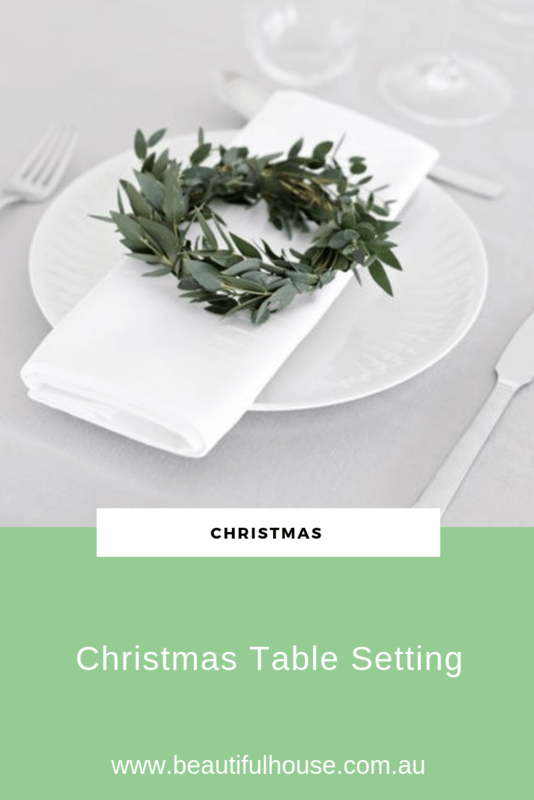 Are you looking for ideas on how to dress your table this Christmas? I know I am. There are so many beautiful ways to entertain your family. Whether it be a casual meal outside or a semi formal meal around the table inside. 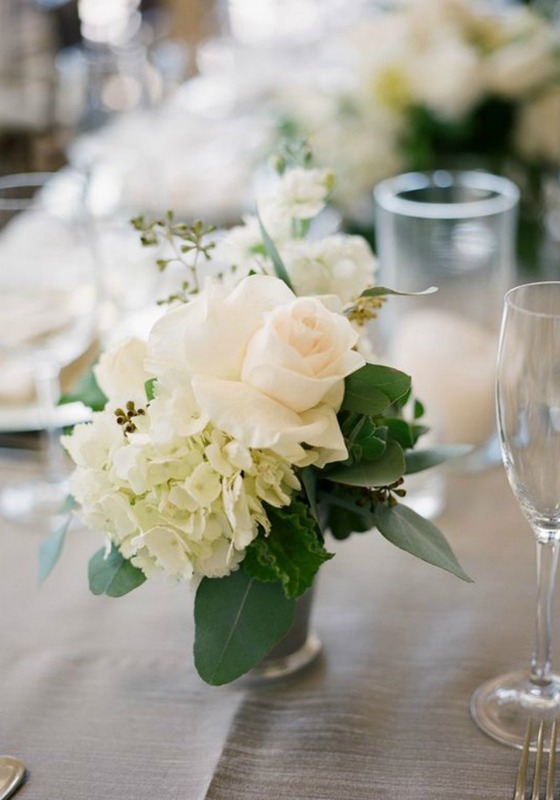 We have some green and white table inspiration ideas for your Christmas table. Start with a crisp white table cloth or placemats for your table. 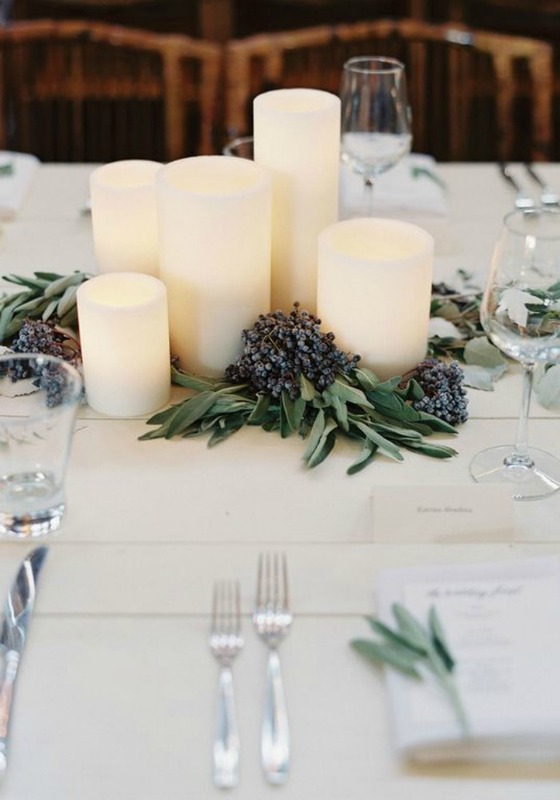 Grouping candles together make for a great table display. Mix your candles, use different heights. You can also include small tea light candles in glass scattered around the centre of your table. Decorating your tables with beautiful objects and greenery will give your table the finishing touches. 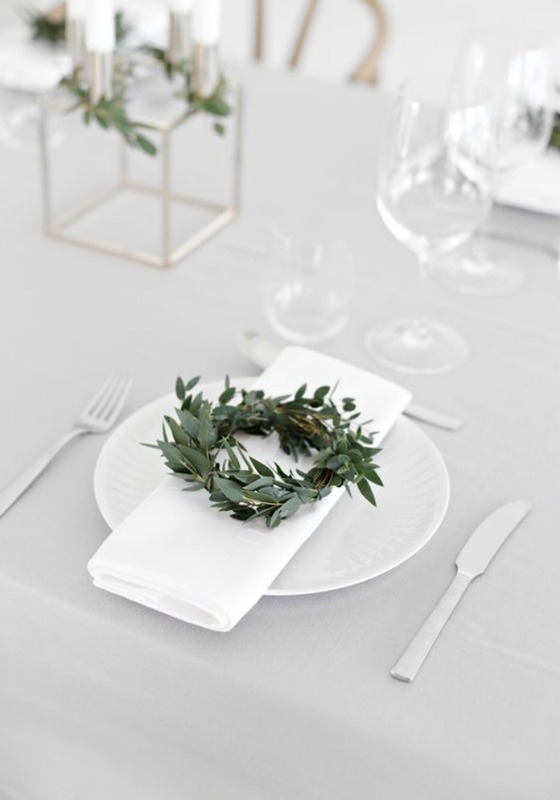 I love this small green wreath placed on the white table setting. 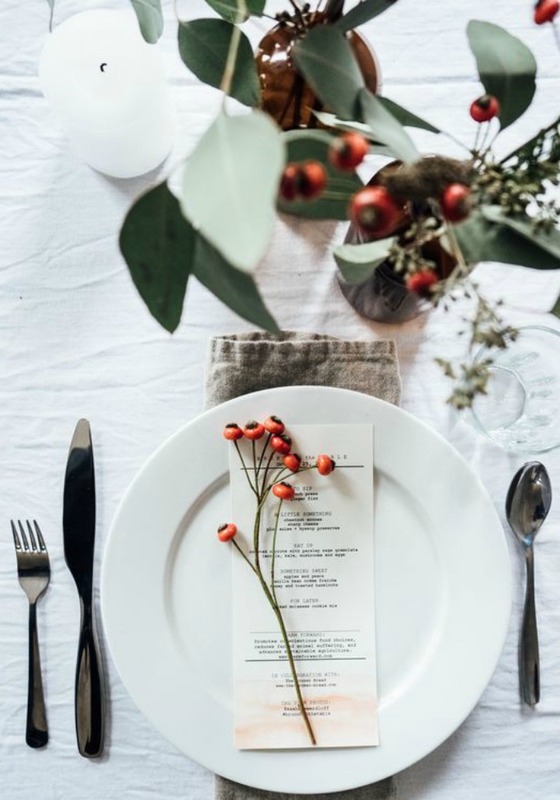 This is a lovely and simple example of how to personalise your table setting. 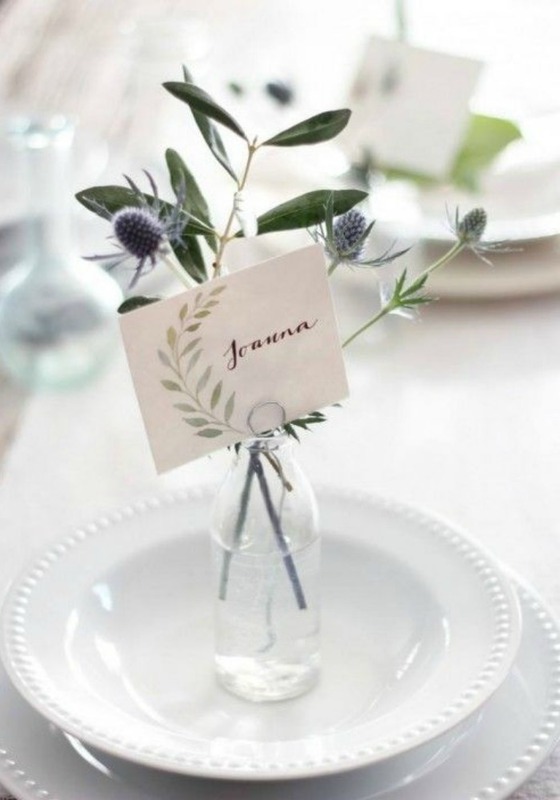 Keep it simple with a sprig of foliage from the garden in a small glass bottle and add a name tag. I love a mixed bunch of beautiful flowers. Buy two or three bunches of flowers in white, add foliage from the garden to create these small bouquets for the table. Remember to keep your bouquets in a short vase for a table setting so they don’t block your guests sitting opposite you.